On our final day of camp, students reviewed the drafts of their composition that I had updated and printed from Finale the previous evening. We made small tweaks and reprinted as needed. Students took turns using the piano and keyboard to practice their compositions, so that they could perform them for the group. A group selfie taken during our snack break. Then, it was time to share our compositions. It was fun to hear each student’s piece. There were a number of other games and activities we used throughout the week, but I mostly wanted to highlight the process of guiding all ten of my students to complete a composition by the end of the week. It wasn’t easy! What helped was to create daily goals and clearly communicate those goals along the way. I was proud of how the students rose to meet the challenge. Here are a few of the resulting compositions. I used guiding questions to help the students figure out how to dictate the rhythm and properly notate their compositions. I made very little critique of the student compositions. The goal for this four-day camp was to experience the process of expressing something through the piano and writing it down. Honing of their compositional skills can occur during later opportunities! I have no doubt that this group of students will be composing more pieces down the road, sooner rather than later, at which time we can spend more time on refinement during their private lessons. All in all, I couldn’t be happier with how the week went and with the resulting compositions! The goal for Day 3 was to have our compositions basically finished by the end of the day. With that in mind, we spent time discussing form (AB, ABA, through-composed, etc.) as well as various aspects of proper music notation. My cat, Coda, loves to help my students with their compositions. It is exciting to see our compositions taking form! Halfway through each day, we enjoyed a snack outside on the patio. On this particular day, one of my students brought in a birthday snack to share: homemade ice cream sandwiches! That evening, I updated each student’s composition in Finale and printed nearly-completed drafts for students to work from the following day. On Day 2 of our composing camp, our goal was to get a good amount of our pieces composed and written down by the end of the day. We used the piano or keyboard to improvise until we found music we liked. Then, we started writing it down on staff paper. I had two stations arranged: my piano and my keyboard with headphones. Students worked at the table and then took turns using the piano/keyboard. I went from student to student, helping them as needed. Hard at work, yet having fun! It’s exciting to see the compositions taking form. That evening, I took it upon myself to enter each student’s composition so far into Finale. I printed these drafts out for students to work from the following day. 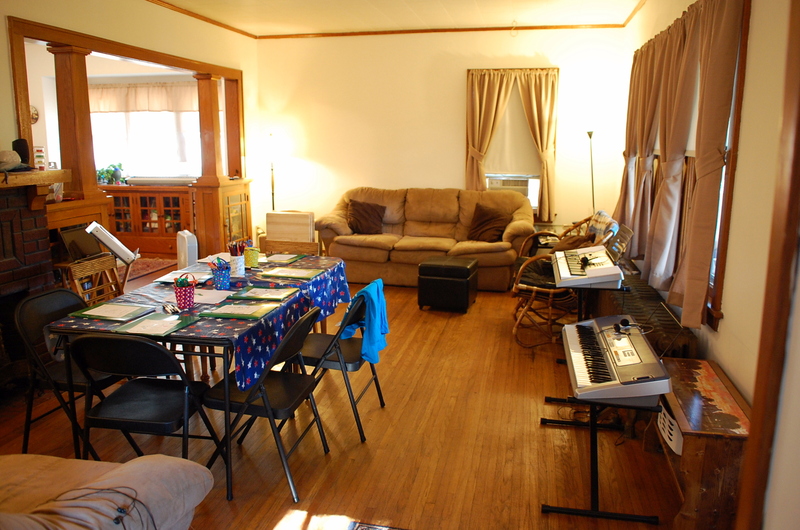 As mentioned previously, this week is the week: it’s composition camp for my students and me! As it turned out, ten students — all current piano students of mine — registered for this camp. On the first day of camp, our goal was for each student to (1) chose a subject for their musical composition and (2) draw an illustration. It is so fun to see what each student chooses and how they choose depict the subject matter through their drawing. Later in the day, each student took a turn improvising at the piano inspired by his/her drawing. This allowed us explore and experience the process of expressing through sound. The rest of the group provided feedback about how the improvisation made them feel or what the music reminded them of. This is good preparation for Day 2, when we will start formulating the structure of our compositions and writing them down on staff paper. That evening, I scanned each student’s illustration so that it would be ready to digitally insert into Finale software later in the week. “So, You Want To Be A Composer?” Camp – Now Available! Hooray, the “So, You Want To Be A Composer?” camp has just been added to the Color In My Piano Shop! You’ve already seen the photos from our composition camp that was held a couple of weeks ago. 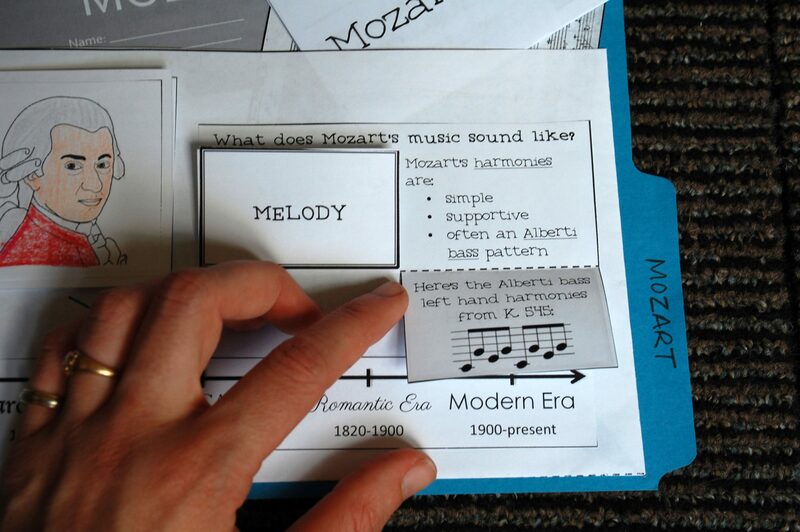 Yesterday, I posted a sample student composition and a freebie from the lesson plans. Now, you can read the full description of the “So, You Want To Be A Composer?” camp by visiting the shop! Good morning! The “So, You Want To Be A Composer?” camp is ready to be listed in the Color In My Piano shop……but I’m just waiting to hear back from one more student to get permission to share their composition in the lesson plan as an example. I will post it as soon as I hear from them! UPDATE: The lessons plans are posted now! For today though, I thought I would share a peek at a composition by one of my other students, and also share a FREEBIE from the camp lessons plans! Read on. During camp, we spent a lot of time discussing how composers make music SOUND like the title or the subject they are describing. 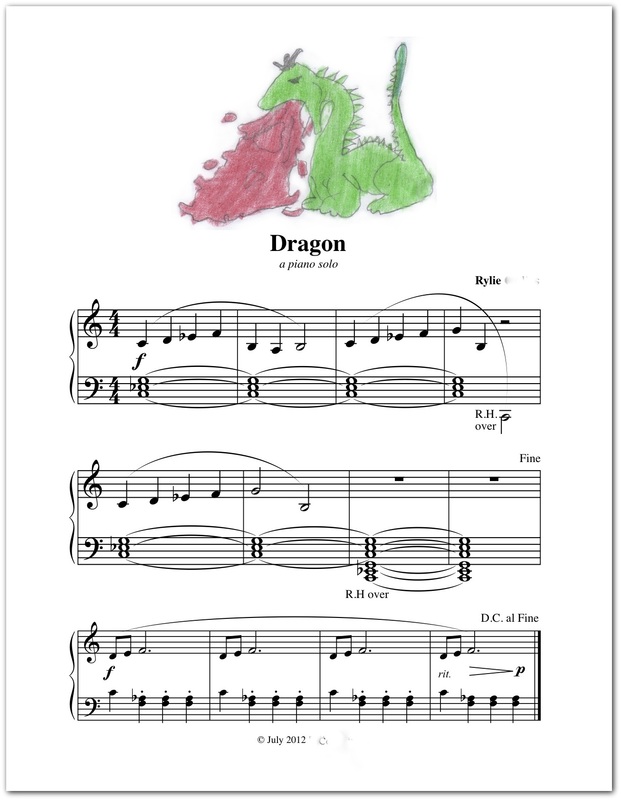 This student appropriately chose a minor key for his dragon piece. I helped him very little, other than approving his first few measures and then encouraging him to add a B section. Not bad for a first composition, is it?! :) Once he had it worked out on the piano, we together figured out how to notate the piece. Later, I transcribed his piece into Finale, printed it out, and then asked him to add an illustration.